The mission of Canine Addison’s Resources & Education (CARE) is to provide resources and education to improve the lives of dogs with Addison’s disease and empower owners to advocate on their behalf. 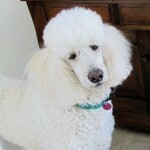 Welcome to Canine Addison’s Resources & Education (CARE) . If you are looking for the most up to date information on Addison’s disease in dogs, you have come to the right place! If you are new to our site, we encourage everyone to browse through our pages, as well as join and participate in our FaceBook group. CARE strives to learn and keep up on the latest developments in Addison’s treatment. Our CARE team consists of members with varying degrees of experience and knowledge hoping to pay it forward. We are open to different perspectives and encourage healthy discussions. We are all here to learn. Questions? Feel free to contact us! Are you new to Addison’s Disease? Want to talk? Request to join our FaceBook group! Ask questions, share stories, learn new perspectives, and gain a support team of friends from around the world. All are welcome. Tax-deductible donations help us achieve our mission. We appreciate them greatly! We’d like to thank QuestionPro for providing a non-profit waiver, giving us access to the advanced features of their survey software!